Much like America's enduring affection for Bon Jovi and acid wash jeans, audiences still love 80's style action movies. 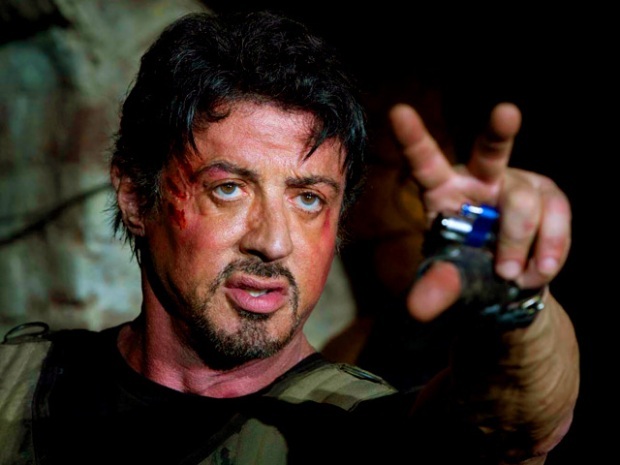 Sylvester Stallone hit American movie-goers with a double barrel blast from the past this weekend with an all-star cast of over 40-year-old actors and took the top spot at the box office. The 'Rambo' star was backed by a fist-full of yesteryear's beefcakes: Dolph Lundgren, Bruce Willis, and Arnold Schwarzenegger were among that aging action actors. 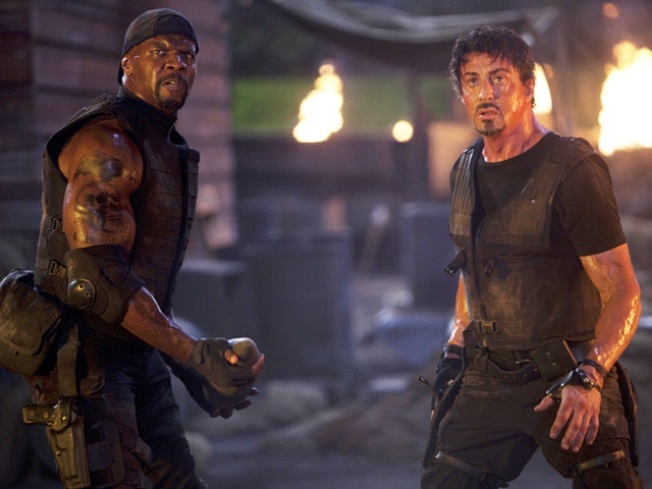 "Expendables" earned $35 million in its opening weekend. The box office ying to the Expendable's yang was "Eat Pray Love," the Julia Robert's led female travel story. The film earned a very respectable $23.7 million. "We figured anyone going to see 'Eat Pray Love' would not want to see 'Expendables,' and vice versa," David Spitz, head of Lionsgate distribution told the AP. But the old men of "the Expendables" managed to attract more than a few women, boasting a healthy 39% female viewership. For "Eat Pray Love," older women was the dominant demographic with 56% of ticket buyers over the age of 35. Will Ferrel's cop romp "the Other Guys" had a short stay on top, tumbling to third place in its second week in theatres.